When Should You Give a Sewing Machine to Your Kid? Most kids these days are only interested in playing games on smartphones or watching their favorite shows on TV. This is why the popular art of sewing is quickly becoming lost. However, not all kids are like that. Some find sewing interesting. They like using their special skills to create unique gifts for their family members and friends. They also like making outfits for their toys, dolls, and pets. If your child wants to create their own crafts, you should definitely get them a good sewing machine that is designed for kids. Invest in a sewing machine that they can actually use to sew. Don’t just buy a machine that looks like a toy and does not even have threads. These are easy-to-use, high performing, and safe machines that are designed for encouraging kids to start sewing at an early age and express their creativity and talents. Different brands like Brother, Janome, and Singer have created sewing machines for kids. But, this review focuses on Singer sewing machines for kids. 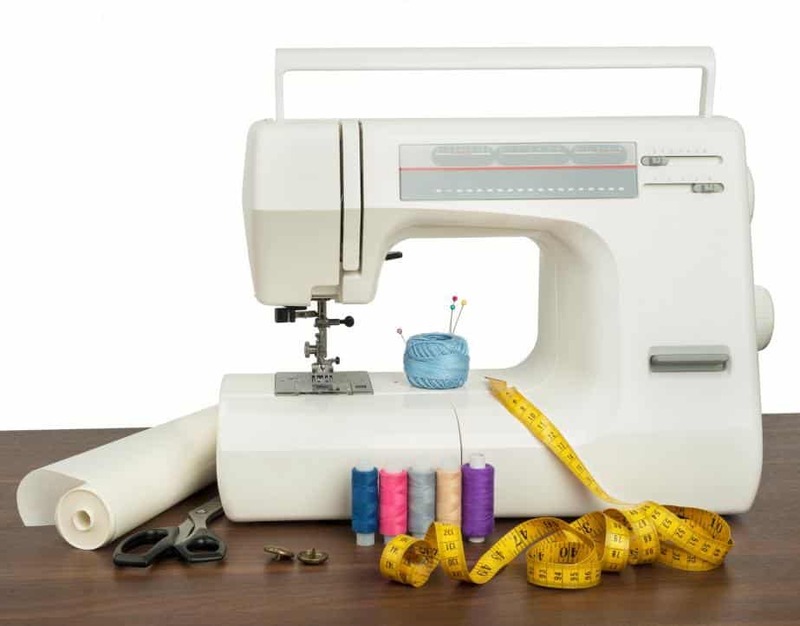 There are plenty of Singer sewing machines for kids available on the market which may make it hard for you to find the one that is right for you. So, we will discuss the best Singer sewing machines for kids to help you find the machine that is right for your child. But, before we talk about the machines, let us discuss some features you should consider when looking for a Singer sewing machine for kids. Feet of sewing machines attach with either a screw or a snap-on. For kids, you should look for a machine with feet that can be attached with a screw to ensure that the feet stay in one place. Your kids may sew through their own fingers or clothing if they work with a snap on feet. Advanced sewing machines allow you to control the sewing speed. However, you don’t want to get such a machine for your kid as they are designed for advanced sewers. You should get a Singer sewing machine that can sew at a consistent speed. This will allow your kids to sew garments with precision without worrying about speed control. You should search for a machine that comes with a built-in needle threader. Otherwise, your child will struggle to thread the needle and you may have to help them with it every time. Your child may not feel comfortable using a pedal to sew. Therefore, you may be better off with a push-button sewing machine for your kid. Another important factor is the weight of the Singer sewing machine. If your child drops a bulky machine on their foot, they will get hurt badly. On the other hand, they won’t suffer a major injury if they end up dropping a lightweight machine on their foot. Kids can break the sewing machine while learning to sew. Therefore, it would be better for you to find a machine with a good warranty. You should buy a sewing machine for your kid once they reach 5 years of age. If they start learning at this age, they will be able to develop basic skills, explore their creative side, and gain confidence. You should help them learn to sew. Initially, you will have to supervise them and ensure that they don’t end up hurting themselves during the learning process. Once they have acquired some experience, they will be able to sew on their own without your guidance and complete difficult patterns. There are several books for beginners that your kids can use to build their sewing skills. 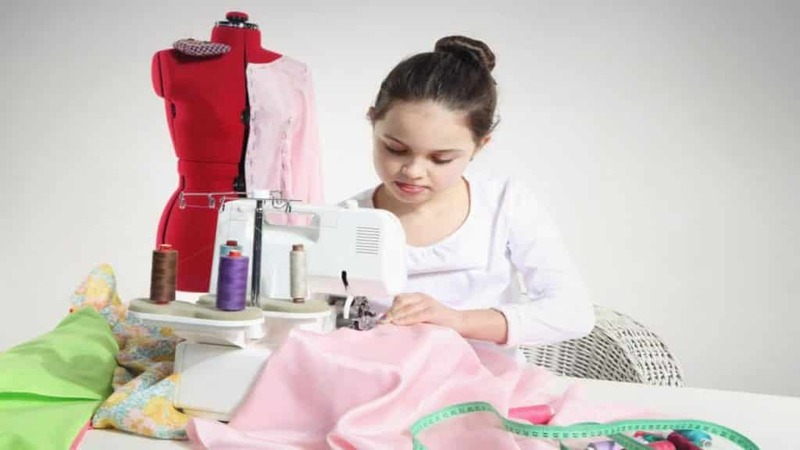 The reason we recommend giving a sewing machine to your kid at a young age is that if they start sewing from childhood, they will be able to master the art of sewing once they get a little older. The Simple 3232 is an ideal Singer sewing machine for kids. This model isn’t only feature-rich but is also user-friendly which makes it a good choice for beginners. 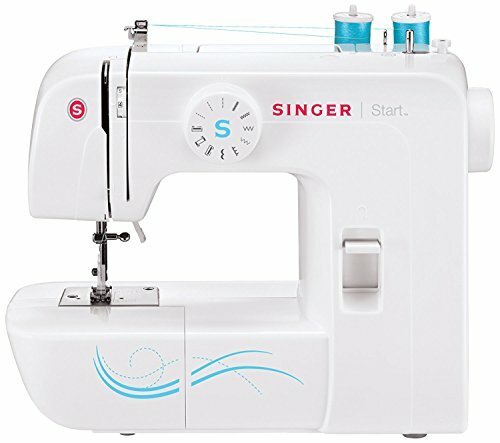 The Singer Simple 3232 comes with 32 built-in stitches including 19 decorative stitches and also has an automatic needle threader. This means that your kid won’t have to worry about threading the needle. The speed of the machine is 750 stitches per minute. The heavy-duty metal frame makes the machine extremely durable and your kid may be able to use it for several years. If the machine does break down, you have got 25-year limited to cover the damage. 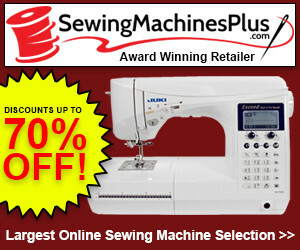 It is a great choice for new sewers who are looking for an easy-to-use sewing machine. 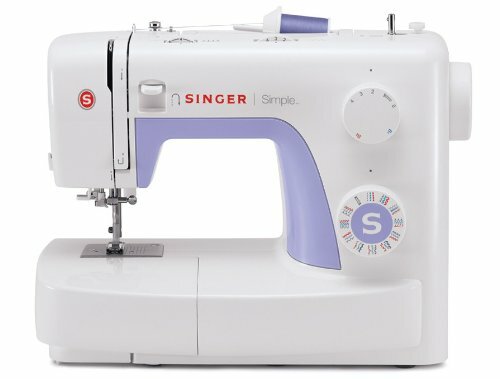 The Singer Simple 3232 comes with a variety of presser feet, a quilting guide, spools, bobbins, caps, and other accessories. 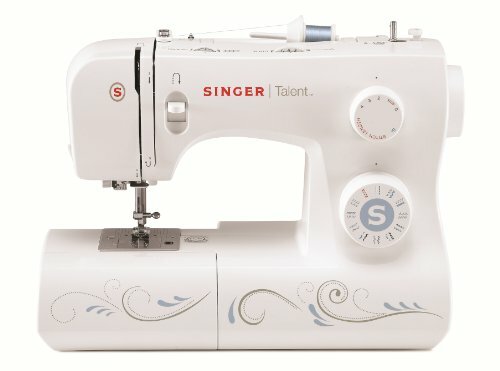 The Singer Talent 3323 is a great choice for passionate kids who want to get started with sewing. It comes with 23 built-in stitches including utility and decorative stitches that allow kids to customize their designs. The stitch width and length can be adjusted and high presser foot lifter allows the machine to sew through bulky or thick fabrics. Like the Singer 3232, this model also comes with an automatic needle threader, making things easier for your youngster. A 1-step buttonholer is also available which is easy to use. Some other accessories you get with the Singer 3323 include one presser foot (general-purpose) and three special purpose feet for button sewing, buttonhole, and zipper. This Singer sewing machine is a great choice for children who want to get started with sewing. The lightweight machine is portable and offers great basic functions. The only thing we don’t like about this machine is the foot pedal speed control as it makes the machine unsuitable for children less than seven years. The Singer 3323 is backed with a limited 25-year warranty and the company also offers customer support. The Start 1304 is an ideal Singer sewing machine for kids. It comes with only 6 built-in stitches which are appropriate for kids who are starting to learn how to sew. Usually, kids don’t need a large variety of functions and built-in stitches. They only need user-friendly design and basic features, and the Singer Start 1304 offers just that. The length and width of the stitches are preset and the sewing machine comes ready, so your kid only has to turn it on, choose any one stitch and start sewing. The automatic bobbin winding system of the Singer Start 1304 is simple, so your kid can easily handle it. This Singer sewing machine comes with a free-arm that is easy to use, so your kid won’t have any problem in learning how to create a perfect sleeve. The Singer Start 1304 doesn’t feature foot pedal speed control and built-in needle threader. This is a drawback of this machine. Nonetheless, your child will be able to enjoy learning how to sew with some help from you. The machine is lightweight so your kid can easily take it with them to sewing classes. Moreover, it won’t cause serious harm if your child accidentally drops it on their foot. 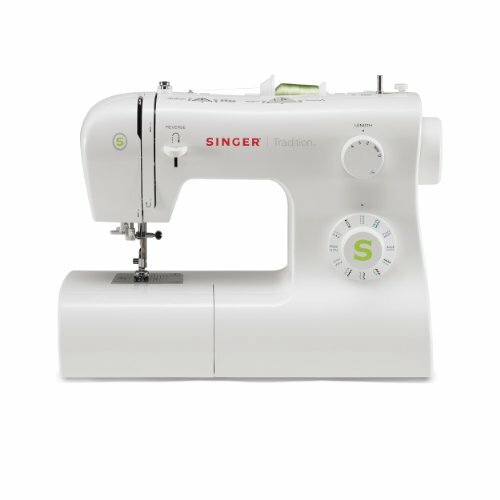 The Singer Start 1304 comes with a limited 25-year warranty which means that you may be covered in case your kid’s sewing machine breaks down due to a manufacturer’s fault. The 2259 Tradition is another great Singer sewing machine for kids. This portable machine is designed to deliver excellent results and comes packed with a variety of features suitable for kids. It is also lightweight which makes carrying it around easy for your kids. It has a sturdy heavy-duty metal frame to ensure that the machine doesn’t move while your child is sewing. User-interface is simple and its features will impress also intermediate sewers. The Singer 2259 features an easy-stitch selection, snap-on presser feet, and automatic 4-step buttonhole. The machine is easy to thread as it comes with a built-in threader. The Singer 2259 Tradition comes with 19 built-in stitches, giving kids plenty of options for basic household tasks. Thanks to the high presser foot lifter, this sewing machine can sew several layers of bulky fabric. The free arm of the machines allows easy access to collars, cuff, pant hems, and other hard-to-reach areas. 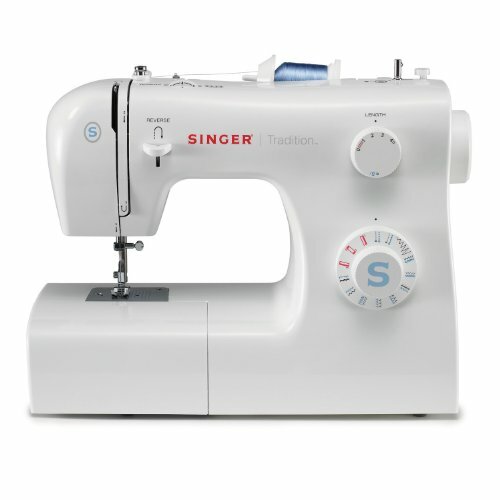 A variety of accessories come with the Singer 2259 Tradition including an all-purpose foot, button sewing foot, buttonhole foot, zipper foot, screwdriver, thread spool caps, bobbins, needles, power cord, foot pedal, and instruction manual. Due to its basic features, the Singer 2259 is a great option for your kid who is just learning to sew. You can show them how to use the machine. Once they get a hang of it, you won’t have to supervise them. They will be able to operate the machine on their own without any assistance from your end. One thing we don’t like about the Singer 2259 is that the needles that come as accessories are of poor quality. Other than that, this Singer sewing machine for kids is worth the money. The Singer 2277 is one of our favorite models. It has all the basic features you could want for your young kid who wants to learn how to sew. The Singer 2277 comes with 23 built-in stitches including six essential stitches, seven stitches, and nine decorative stitches. The machine’s lightweight makes it extremely portable and your child won’t have any issue carrying it to sewing classes. The automatic needle threader is a major plus point of the Singer 2277 as it makes it extremely convenient for your child to sew. The machine also features adjustable presser-foot pressure and adjustable tension. Not only that, but a high presser foot will allow your kid to sew through several layers of thick fabric. The stitch length and width can be adjusted in the Singer 2277. Other accessories that come with this machine include a button sewing foot, an all-purpose foot and a button for basic sewing needs. If you want to buy a Singer sewing machine for your kid who doesn’t have any experience with sewing, then Singer 2277 is a great choice. If you’re looking for a Singer sewing machine for your kids, then the machines listed above are the best available options. We have done the hard work of finding these machines and discussed their features and capabilities. Deciding on the machine that you think would be best for your novice crafter is up to you. Remember to consider their age when deciding to buy a new sewing machine for them. You don’t want an overly complicated machine as your young child may not be able to understand its features. Instead, you should get a machine that comes with basic features and easy-to-use interface so that your kid can sew without your guidance. There are plenty of great Singer sewing machines listed above. All you have to do is compare their features and determine the one that would be right for your kids and make the purchase.